I have struggled in formulating the narrative swarming in hybrid ecosystem as a participatory design experiment. It can be it is not yet simple enough for the intended book :(, but i feel i cannot cut away much more too. It is hard to present visual data in the papers, but i feel some of the evidence needs to be presented too. This paper describes a participatory design experiment that is influenced by the swarming activity. 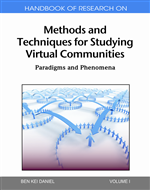 The paper introduces a new approach to writing narratives in virtual learning communities of the social Web 2.0 and contrasts it with traditional storytelling approaches. In the participatory design experiment we developed a hybrid virtual storytelling playground that augments the real world – a hybrid ecosystem of narratives. It consists of social software tools freely available in the Web, such as microblogs, social repositories of images, and blogs, the real locations in the city, and the storytellers who leave their digital contents. The results of writing narratives as a swarm in a hybrid ecosystem are presented. In our experiment, instead of bending old novel formats into the hybrid ecosystem, the evidences of new evolving narrative formats of this hybrid space were explored. Social software is generally recognized as tools, which development is highly dependent of users‘ mutual interaction with the mediation of these tools, involving group processes such as discussion, mutual advice or favors, and play (Shirky, 2002). Any activity is always mediated by the tools that we create in the process of actualizing certain affordances in our goal-directed and enculturated actions – when making something from the environment into our own or when bringing something of our own ideas into the environment. More than at earlier times, current social tools are the creation of communities. While the artifacts and meanings, created and distributed with social software, obtain in the process of use the community-defined folksonomical dimensions, the activities what are performed and evolve in these systems as a result of community interactions, have yet remained implicit, and are not well observable for the users of social software. Social software still lacks the means how to make activity potentialities of tools, and activity patterns, which emerge in the communities, more observable. What we basically lack, is the soft ontologically defined constraints/possibilities of actions determined by the communities who use social tools. 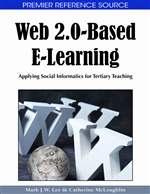 When using social software for learning at institutional courses, but also for personal self-directed learning attempts with other learners in the Web, the explicit socially defined action potentialities within activity systems would enhance the selection of communal tools for common objectives. Some of the recent developments, such as Friend of a Friend (FOAF) technology that aims at creating a Web of machine-readable pages describing people, the links between them and the things they create and do, seem to promise that the action-based automated search of learning partners would soon become possible. The best practice of the tool-use for certain learning activities is, thus, disseminated giving a valuable input for the others and narrowing down their choice of appropriate tools for particular learning goals. For example, it is suggested that the super-peer networks would enable the learners to observe, record and share their activity practices with artifacts through networks (Clematis et al., 2007). If FOAF and similar specifications could read personal action potentialities with certain social software, their communities and artifact types, which we described earlier, the decision processes at constructing collaborative landscapes for learning purposes, could be supported by technological means. Tools that support the construction of group landscapes from distributed personal tools play an important role in the application of new Learning Environment Design model. The new generation of aggregation and mashup tools is anticipated to support the construction of distributed personal and group learning landscapes, using the affordance-based activity system model. 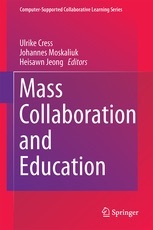 The mashup of the learning environment from distributed feeds will be realised, considering, in one hand, the anticipated affordances for action, and personal activity preferences, which may be described with FOAF kind of scripts, and on the other hand, the socially defined action potentialities of tools would enable the mashup tools to automatically select a suitable set of widgets for certain learners or groups. In these mashup tools learners would pertain full control over the selection of feeds – eventually they can ignore or close some tools and even add new tools. Such user-activity can be, in turn, used to update the semantic models refining the activity-tool relations, improving the tool recommendations. The critical factor of effective use of distributed social landscapes and scaffolding in such systems is the possibility to monitor the use of landscape elements and the information flows between them in the cause of action. 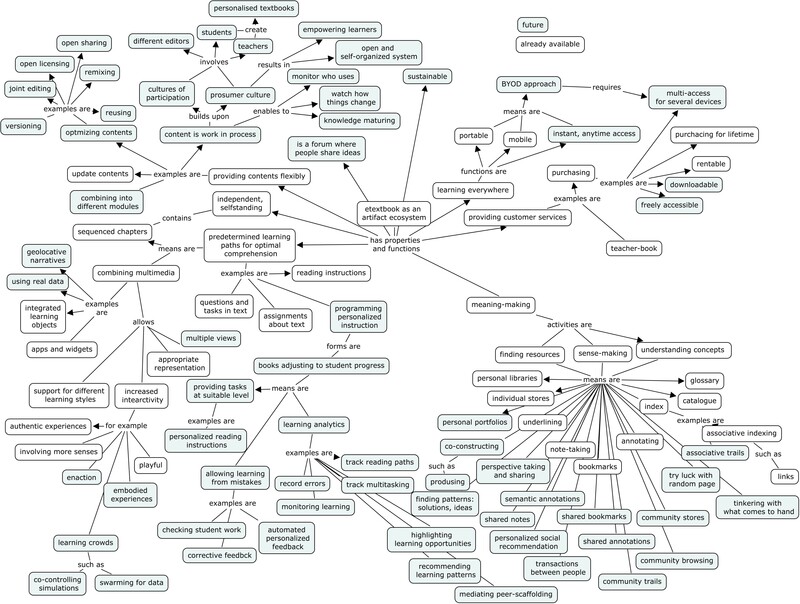 New developments at social software systems enable already to visualise the folksonomy based meaning-building dimensions in the communities (see Klerkx & Duval, 2007). What is yet needed, is the visualisation of activities and learning landscapes for the learners. 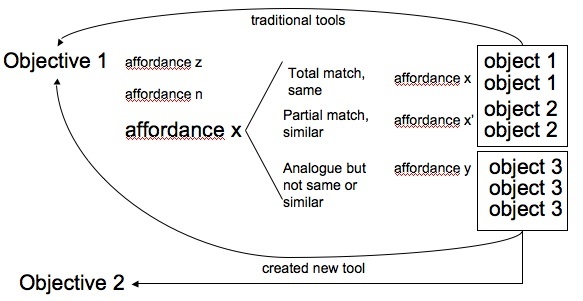 This may be realised through visualising the mashed learning landscapes as affordance-based activity systems in which the distributed social tools would convey also the socially defined activity potentials. Certainly, this may not indicate, which of these available activity potentialities were put into action. For understanding this, interaction within specific social tools, and the content of feeds between tools must be analyzed (eg. which regulatory, social or content-creation types of action potentialities were put into action). But that seems even more complicated issue. The joint learning situations would also pertain the use of asynchronous or synchronous interaction tools when working with artifacts. Some of the tools like Gabbly chat can now be easily integrated with different webpages, social software applications and masup tools. Yet, the develoment of tools, which keep the interrelations between the talked content and the productive actions made at artifact, should enhance learning at distributed landscapes. The future of using distributed social software elements for self-directed and collaborative learning purposes is in mashing selectively the evidence from different activities eg. weblog posts and commentaries with certain tags, artifacts purposfully created and stored in different repositories, wiki-contributions, discourse logs etc. In these places (hubs) where our distributed knowledge meets again, we propagate ourselves as the connectors between the communities. If we mix our distributed self with the knowledge of our community members (like in micro-blogging feeds of Jaiku), these mashed feeds may work as triggers for learning. They enable to access knowledge community-wise and transfer it to other community spaces. Some ideas from the paper i try to write. I am especially grateful to Anatole Fuksas for triggering me to think about embodied concepts rather than training for knowledge and competences in inquiry systems. It seems that this new approach is well in accordance with my previous ideas of the systems as emergent semiotic ones in which the learners are creating perceptionally translation borders between the artifacts in inquiry steps. 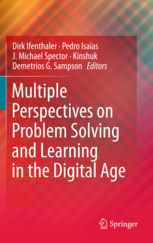 This new idea relates well with this translation part where learners with perceptional translation problems are unsuccessful in performing certain actions of the inquiry process. 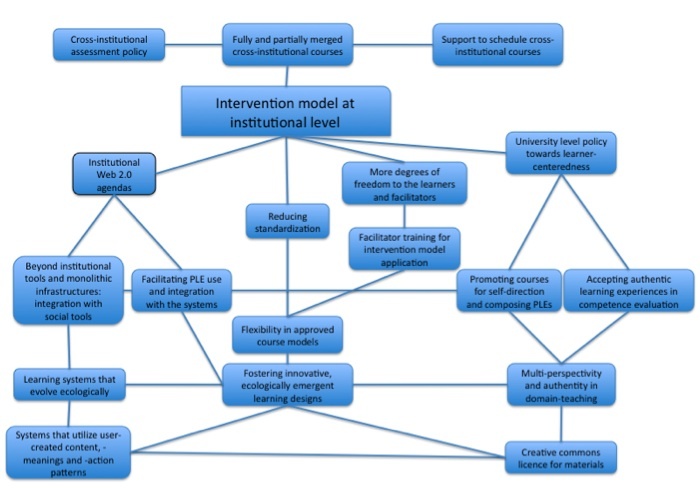 Recent findings in neuro-science enable to consider the interrelations of the components of learning environments, inquiry actions and knowledge construction, uniting all these into one ecologically defined perceptual-action system. At traditional sensimotor schemes of information-processing, an action is often seen as the late step caused by stimulus processing (Prinz, 1997). This means that depending of input information from the environment (e.g. 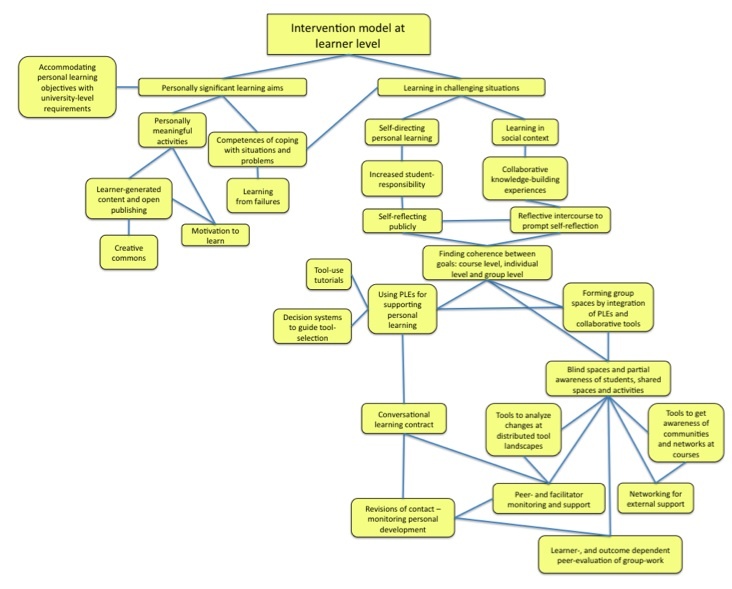 learning materials and problem statement), and learners‘ previous knowledge, the inquiry actions are planned to solve the problem (Hommel et al., 2001) (see fig. 1). The traditional view to information-processing has assumed that people constantly process mediated representations of information from outside environment and information retrieved from the long-term memory, in their working memory in order construct dynamic mental models that mediate their awareness of themselves and phenomena, and trigger action performance. Hommel (2003), however, assumes that action control to all behavioral acts is ecologically delegated to the environment – when planning actions in terms of anticipated goals, the sensory-motor assemblies needed to reach the goal are simultaneously selectively activated in the environment, and bind together into a coherent whole that serves as an action-plan, facilitating the execution of the goal-directed actions through the interaction between the environment and its embodied sensory-motor activations. The former idea could be translated into what would happen in the learning environment: the learner has previous experiences with similar actions and situation elements, and this enables them to anticipate certain action goals and their sensory-motor correlates in the learning environment, which in turn would constrain and guide learners to embody certain sensory-motor activity patterns and perform appropriate inquiry actions in the system. Goals and proceeding actions are, thereby, not sequentially deduced from the input information and previous knowledge, but they are ecologically emergent from coupling between anticipated goal-directed action potentialities and the features perceived in the environment as affordances for these actions. Discoveries in cognitive and neuroscience about the functioning of mirror-neuron systems (Gallese et al., 1996), claim, that cognition is embodied through grounding knowledge directly in sensory-motor experiences without the mediation of symbolic representations (Pecher & Zwaan, 2005). We perceptually activate certain multimodal action-potentialites of embodied symbols to mediate our purposful and goal-directed actions (see Gallese & Lakoff, 2005). These embodied dimensionalities of symbols are activations of neural representations located in sensory-motor areas in brain. The embodied view to concepts as activity patterns makes learning in authenitc contexts even more meaningful – when activating information of objects, we have had direct emotional and action-related experiences with, the same neural areas are involved than when activating sensory-motor circuits of the brain on performing actions with their mediation (Gallese and Lakoff, 2005). From the ecological viewpoint, complex multi-representational learning environments are built on the supposition that people should be constructing knowledge and inquiry competences in the process of moving from authentic and perceptually known narrative or visual settings through inquiry actions to the abstract narrative or visual settings, in which the objects and events are highly abstract and do not have direct perceptual correlates in sensory-motor system. When planning for inquiry actions, various artifacts embedded to the learning environment provide action potentials that the learner can embody. In the sequential or iterative process of inquiry, perceptually embodied concepts related to the problem will be coded through inquiry procedures into different semiotic registers (Duval, 2000), and tied with the arbitrary theoretical semantic knowledge. That is so far abstract of my new ideas of complex multi-representational systems. I intend to use some example cases of showing how the wrong selection of affordances at narrative and visual artifacts in learning environment defined inquiry actions with the narratives. 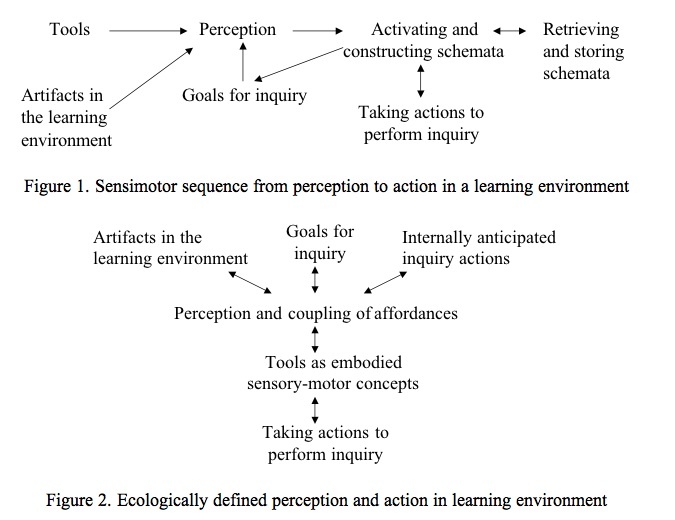 In one paper we have collected evidence of changes of awareness of learning objects’ affordances in complex inquiry system, which could be used as evidence of learning environment as an ecologically defined system. I just got an interesting idea when rethinking of Manovitch lecture and the reflections of my own affordance thoughts. Let us suppose that within activity system the affordances emerge as constraints allowing/restricting some actions among many. Let’s imagine this as a trading process where internal goals make us to expect certain affordances for some actions in one hand, and the external environment with its objects and persons sort of extends some affordances culturally above others, when we perceive this environment. This is working like the balance between two systems. Now if we think of Manovitch example, we move from toolisized theatric interface world to the seemless interfaces for actions. The balance moves from embodying externally theatrized affordances from tools (eg. mobile phones, computers) for action, towards externalizing internally created action affordances and acting them directly to the environment using seemless interfaces, bypassing the tool side. What makes this balance to move? Anyway, this seems very ecological indeed.